He had a twin brother. He died of heart failure on the way to a hospital. His funeral was held at the Catholic Church of St. Austin in North Minneapolis, Minnesota. He was buried at Resurrection Cemetery in Mendota Heights, Minnesota. He was a lifetime member of Ascension Church in Minneapolis, Minnesota. Harlow, Tim. "Edward Gearty: Admired on Both Sides of Aisle." Minneapolis Star Tribune, September 30, 2009, p. B6. Salisbury, Bill. 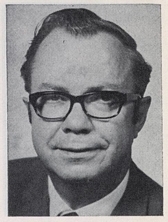 "Edward Gearty, "Last Gentleman in Minnesota Senate," Dies at 86." St. Paul Pioneer Press, September 28, 2009. "Gearty, Edward J. (Obituary). Minneapolis Star Tribune, September 27, 2009, p. B9.